MIDRHA AGM has taken place for 2015. The committee now consists of: President: Nick Bell Vice President: Nigel Rieck Treasurer: Tom Martens Secretary: Nikki Bayliss Committee Members: Adam Maguire & Kristan Ramage We welcome Adam to the committee and we look forward to another big year next year! The MIDRHA Christmas Raffle for this year has been drawn, Peter with ticket number 131 has won! He has been notified (and convinced that he had actually won!) Prize consisted of a CGL 3/8" Socket Set donated by Konnect Mount Isa, Kinchrome 1/2" Impact Socket Set donated by Toolntackle Mount Isa, Sidchrome 3/8" Digital Torque Wrench donated by Mount Isa Mining Supplies all in a Frostbite Esky supplied by MIDRHA. We would like to thank all those who bought tickets and supported us, but most of all, we give many thanks to the local businesses who kindly donated products for us to form a prize, without them the raffle could not have taken place. We ask you to please support the businesses that support us! Last chance to buy a ticket in our Christmas Raffle! Come down to the Anglican Church Night Markets. Drawn tomorrow!! AGM today - We need committee members to join us! So come along and support Drag Racing in your community! The MIDRHA Xmas Raffle drawn 5th December, $5 a ticket Prizes consisting of 3/8" drive digital torque wrench kindly donated by Mount Isa Mining Supplies, 1/2" drive impact socket set kindly donated by Tool 'n Tackle, 3/8" drive 52 piece socket set kindly donated by Konnect Mount Isa all in a 42 litre esky donated by MIDRHA. Total value $735rrp. RACQ Careflight Motor Show on at Buchanan Park today, 1pm til late, come down and check out the machinery on display. 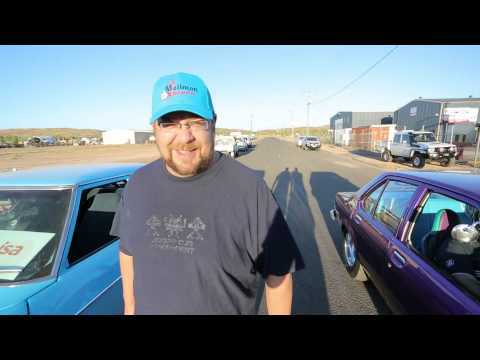 We are underway here at the Q Energy Solutions Boulia Outback Drags....what are you doing today? The Chevrolet flag is flying high in Boulia today, which flag will you be flying this weekend at the Q Energy Boulia Outback Drags? We have had a room come up for this Friday & Saturday night at the Boulia Caravan Park, double bed with toilet/shower. Message us here for more details if you're interested. Massive thanks to all the MIDRHA page followers! Only 3 days to go until the Q Energy Solutions Boulia Outback Drags Your car or bike doesn't have to be a rocket to race, it's all about having some fun! Email MIDRHA@gmail.com for a nomination form! Photo - Check out our amazing, imported trophies! 9 sleeps to go! Check out our amazing, imported trophies! 9 sleeps to go! Who would like a nomination form for Boulia?! Email midrha@gmail.com or list your email address here... 15th August 2015! 5 weeks to go!! Please share this far and wide. Email midrha@gmail.com for nomination forms.